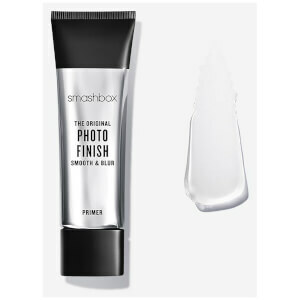 Achieve a smooth, flawless complexion with Smashbox Photo Finish Foundation Primer; the brand's best-selling, award-winning formula to perfect the appearance of skin. Melting effortlessly onto skin, the transparent, oil-free gel enhances makeup application and wear, whilst blurring visible pores, fine lines and imperfections for an even, picture-perfect canvas. Defends against pollutants, stress and environmental aggressors with an antioxidant blend of peptides and vitamins A and E.
Photo Finish Primer has had a makeover! It’s the same formula you’ve always loved, just with a fresh new look. Free from parabens, phthalates, oil and fragrance. Smooth a layer over clean, moisturised skin. Let it set for 15 seconds. Wear alone or under makeup. 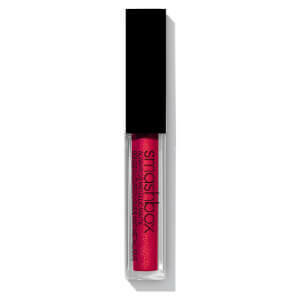 Can also be used over makeup for touch-ups. TIP: Try it in your hair to tame frizz. Cyclopentasiloxane, Dimethicone, Dimethicone Crosspolymer, Trisiloxane, Silica, Dimethicone/Vinyl Dimethicone Crosspolymer, Ethylhexyl Salicylate, Retinyl Palmitate, Tocopheryl Acetate, Carthamus Tinctorius (Safflower) Seed Extract, Propylene Glycol, Water\Aqua\Eau, Vitis Vinifera (Grape) Seed Extract, Cola Acuminata (Kola) Seed Extract, Camellia Oleifera Leaf Extract <ILNILN38781>.